E-ticket use: Mobile Responsive voucher to show the Driver at any Open Tour’s Bus Stop : avoid unnecessary printing! The day on which you redeem the e-ticket counts as the first day of your pass. You cannot redeem the voucher to the Batobus company who cannot accept it. Buses not every 10 mins due to atrocious driving conditions. Taxis driving down the other side of the road to cut back I to traffic. Every junction (no yellow boxes) had traffic blocking progress when lights turned green. How the bus drivers remain calm and smiling a credit to their training and personality. Green line, red line, blue line - they were all great! 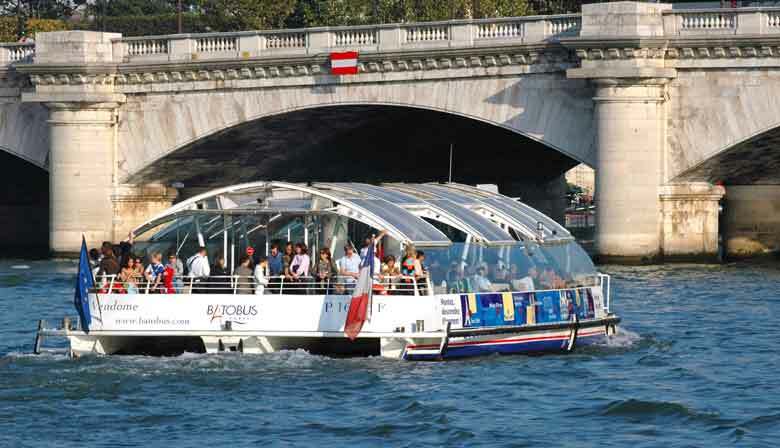 Brilliant easy way to explore Paris in a very relaxed way.